How do Alberta home insurance rates compare to the rest of Canada? 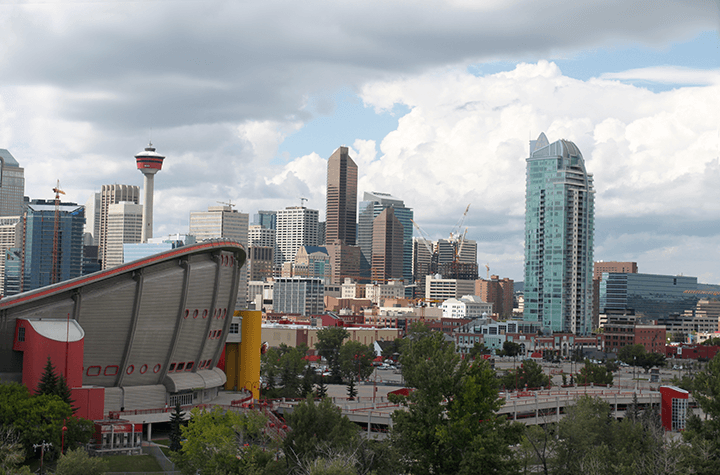 Alberta, Canada’s westernmost Prairie province, is home to two of Canada’s fastest growing cities, Calgary and Edmonton, and has seen its share of troubles in recent years. First there was the 2013 Alberta flood, which left Calgary waterlogged. Then there were the wildfires of 2016, that left Fort McMurray in ruin. With all these weather-related incidents, it shouldn’t come as any surprise that Alberta has among the highest home insurance rates in Canada. How do Alberta’s home insurance rates match up? Homeowner’s in Alberta tend to pay higher home insurance rates than the rest of Canadians. This is largely thanks to its unique geography. Golf ball sized hail, for example, is a yearly occurrence in some parts of the province due to the close proximity to the mountains. The flood and fires mentioned above caused a spike in insurance claims over recent years that are among the costliest in Canadian history. With total damage exceeding $5 billion, the 2013 Alberta floods held the record as the costliest disaster in Canadian history until the wildfires in Fort McMurray caused an estimated $9.5 billion in direct and indirect damage. It left the town of Fort McMurray devastated, with some parts forced to rebuild. The rising costs of home insurance in Alberta make it more important than ever to comparison shop. What are home insurance rates based on in Alberta? Similar to other provinces, the insurance rates you pay as a homeowner depend on several factors. Some of these factors are within your control and some are outside your control. One major factor is your home’s location. If you’re located in an area prone to flooding or hail, your home insurance premiums are likely to be higher, all things considered equal. Likewise, if you’re located in an area with higher crime levels, you’re likely to pay higher home insurance premiums. Several other factors affect the home insurance premiums that you pay, including your home’s heating source, pipes, roofing and wiring. By regularly maintaining your home and spending money on upgrades, you can do your part to ensure that your home insurance rates remain reasonable for the years to come.